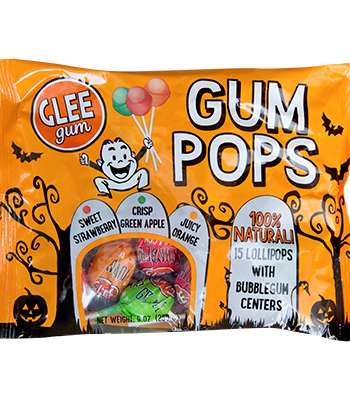 A spook-tacular treat: no scary ingredients! 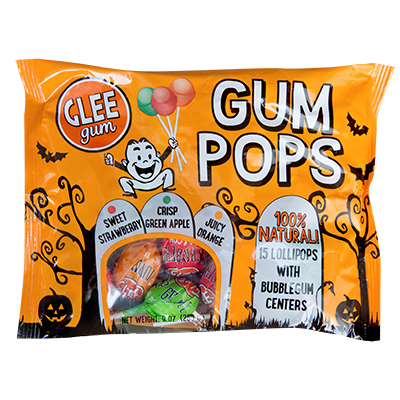 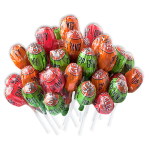 Trick-or-treaters will SCREAM for natural gum pops— hard candy lollipops with yummy, natural bubblegum centers. 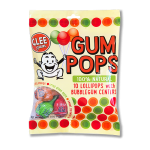 Glee Gum Pops are allergy-friendly, gluten-free, and vegan. 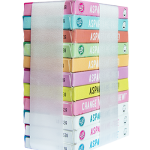 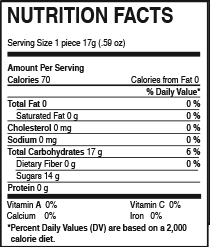 They are also suitable for Feingold Diet Stage 2. 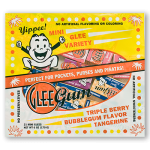 Glee Gum Pops do not contain any of the eight major food allergens: milk, egg, fish, crustacean shellfish, tree nuts, wheat, peanuts, or soybeans. 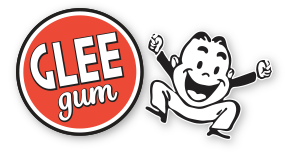 Milk, peanuts, and wheat are present in other products not processed in the facility, but sometimes stored in the same warehouse.